If you are lucky enough to find yourself in the beautiful city of Monte Sereno, California, staying inside the entire time is the last thing you want to do. 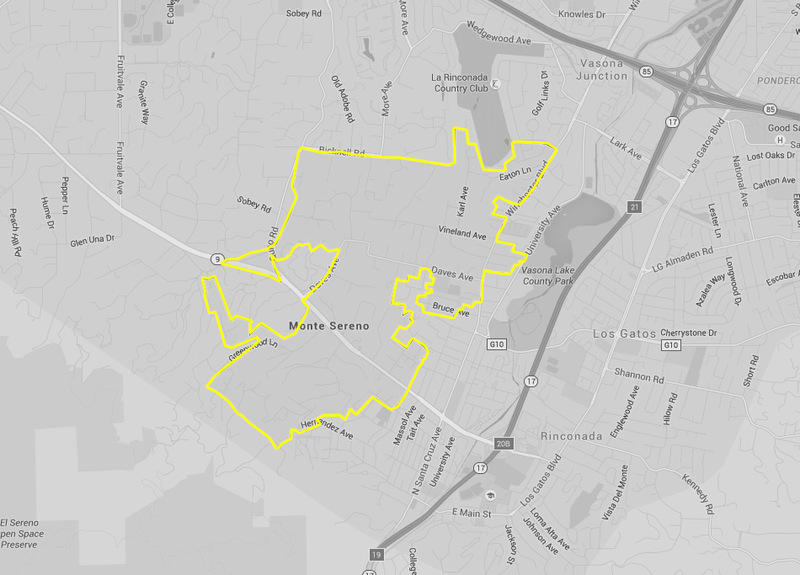 But, how to get around Monte Sereno? Walking to where you want to go is always an option, but with the limited time that you’ve got – why waste it? Let Yellow Cab of Silicon Valley be your saving grace. With budget-friendly rates, comfy taxis close to me, gift cards, and a diverse range of service areas, Yellow Checker Cab is all you need for a phenomenal time in Monte Sereno. The company’s skilled and professional drivers (btw, are you looking to become a driver?) don’t just know their way around this remarkable city but also the locations of all the good spots worth visiting. Allow us to extend our hospitality to you while you’re here. What can I do in Monte Sereno? At some point during your visit to Monte Sereno, you will have to make a stop at the Oak Meadow Park. How to get to Oak Meadow Park by taxi? Just ring Yellow Checker Cab up, and you’ll be sorted! Locals have made this spot a regular attraction, and you can as well. It features a number of activities that are suitable for the whole family, including movie night on the lawn and exciting concerts right on the stage. It even has a miniature train that rides the kids around the park while you relax in the shade. In case you need airport transportation before embarking on this beautiful adventure, Yellow Checker Cab is there for that, too. Known to locals as “SBMT,” this hangout is perfect for people who want to get a little music in their lives while in Monte Sereno. There are always live events going on, including comedy shows, musical performances, plays, operas, symphonies, and so on. Admission is incredibly affordable, and there is even a small snack shop located right inside the building. In reality, you could probably spend your entire vacation enjoying what’s offered here. Can I get to the South Bay Musical Theater by taxi? You absolutely can. And, once again – you know who’ll be driving you there! That’s right: the best taxicab near me. What is more, Yellow Checker Cab offers the option of booking handicap accessible taxi as well (in case you or someone you love needs it), so there is no need to postpone your South Bay Musical Theater adventure. If you have not found a nice place to stay while visiting Monte Sereno, be sure to have your driver take you over to the Toll House Hotel. It is considered one of the most charming accommodations in the area, with free Wi-Fi and parking offered to all guests. Bring your pets along and plan the rest of your trip in the hotel’s elegant restaurant or lounge area. There’s even room service if you don’t feel like going anywhere. When you’re finally ready to explore the rest of Monte Sereno, give us a call, and Yellow Checker Cab will send someone right over to pick you up. If you are planning a trip to Monte Sereno, Yellow Checker cab will provide you affordable and prompt rides in a blink of an eye. You can get a taxicab nearby in just a few clicks: book Checker Cab near you and ride in the comfort of great vehicles. Whether it’s by using Yellow Checker Cab book app, website, or simply by calling us at +1 408-777-7777, be sure you’ll be getting a quick, reliable and the nearest taxicab service close by.